Arlima Parker 85, of Michigan City, Indiana went home to be with the Lord on January 21, 2019 at Franciscan St. Anthony's Health Center. A celebration of life will be held 11am Saturday, January 26, 2019 at New Hope Missionary Baptist Church. Interment will follow immediately after service at Swan Lake Memorial Gardens. Viewing will be 10am Saturday, January 26, 2019 at the Church until time of service. Arlima Parker was born March 10,1933 in Wheatley, Arkansas to Ollie Metcalf and George Payne. She moved to Michigan City and she married Willie L. Parker on January 25th, 1954. She accepted Christ at a young age. Arlima enjoyed helping others by way of ministry, feeding and being the community Mom. She worked at Willard Seafood and Chrysler Plastics in Michigan City as well as numerous other jobs. She was a faithful member to her churches over the years, Hatchett Temple Church of God in Christ, Zion Temple Church of God in Christ and Life Temple Church of God in Christ. She enjoyed spending time with her grandchildren every chance she got. She also enjoyed cooking, canning and creating a long term food source not just for her family but for the community. She is one of four sisters and nine brothers. After losing her mother at age 12, she took on the role of “mother” to her siblings. She sacrificed going to school to make sure her siblings went. She grew up quickly into her role to maintain the family, cooking, cleaning, ironing and working in the cotton fields. As the family migrated she was the glue that held them all together. From planning family reunions to doing well fair checks on relatives. She endured the hard work and instilled the same values in her own children. She will be fondly remembered as a firm but fair mom. Arlima leaves to cherish her fond memories, her husband Willie L. Parker, Michigan City; one daughter Linda C. Jones, Michigan City; three sons Ronnie L. Parker (Kim), Chicago IL, Cedric Parker (Christina), and Steven Parker (Dedra Kelly) both of Michigan City; and a special daughter, Christel Holley, nineteen grandchildren: Tiana, Brandi, Alysea, Jordan, Nolan, Steven “Buddy”, Ryan, Stecoya, Dominique, Natalie, Eliott, Cedric J., Phillip, Marquita, Dohnovan, Serena, Kobe, Criston and Elijah and a host of great grand children, nieces, nephews, cousins and friends. 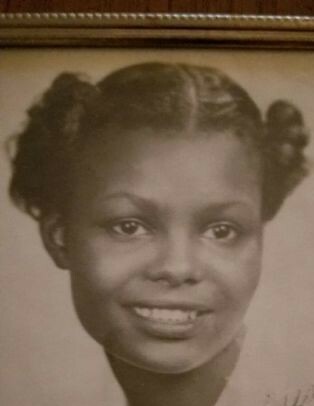 She was proceeded in death by her parents: Ollie and George Payne; three sisters: Juanita "Mickey", Maureen "Bittey", and Gracie; eight brothers: Will, Paul, Levon, Evis, George “Cricket”,Robert “RT”Mann, Jack. and one granddaughter: Crystal Parker.